Where Is The Fountain? : What's In A Name? Every time I take a retreat at a monastery, almost immediately when I return home I shave my head. 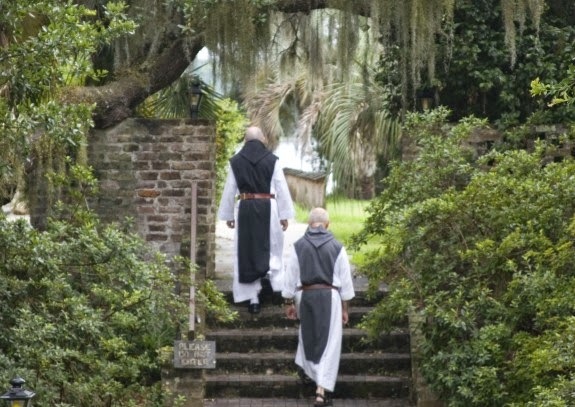 It goes back to the first time I took a week-long retreat at Mepkin Abbey. I was an ordained Baptist pastor then, but I was also further discerning God’s call on my life, and more specifically, discerning whether God was calling me into the priesthood. I spent the entire week in prayer and near-total silence, and it was during that week that I finally said of myself what I believe God had already said of me, and what I know for a fact my wife said to me: “You really need to be a priest.” So, when I returned home that evening, almost impulsively, I shaved my head to mark that moment, to set apart that week on my journey towards priesthood. Though I wasn’t a priest yet, I felt something had to change about my life to reflect this new shift in focus and prayer. And I’ve kept this tradition ever since. There is something deeply psychological about marking these moments in our lives with some sort of visible change. As I was thinking about my own experiences of identity markers, I had fun spending some time searching the Internet, looking for articles about the connection between life changes and image alteration. I kept encountering this quote from Coco Chanel, famous fashion designer and creator of the mega-brand Chanel: “A woman who cuts her hair is about to change her life.” You know, the problem with the Internet is that it’s sometimes a black hole of useless information. So, I now know more about Coco Chanel than I would have ever desired to. But, seeing as how I have no fashion sense, and I wear the same type of black shirt 5-6 times a week, perhaps I can find a way to make use of this newfound knowledge. But I didn’t just find fashion tips. I also found page after page of people whose stories were like mine, people who have known the power of changing a visible identity marker to commemorate a significant moment in their lives. Unlike changing one’s name, changing one’s hairstyle is pretty easy to do. But the two things aren’t as different as they may seem. We change ourselves when something has changed us. All of this to say, I can identify somewhat with Abram’s transformation into Abraham. Though I mark significant spiritual experiences with haircuts, Abram’s identity was transformed through the receiving of a new name. From Abram to Abraham, from Sarai to Sarah, here we have just two of the many Biblical examples of a name change that is really just the tip of the iceberg of a complete identity overhaul. 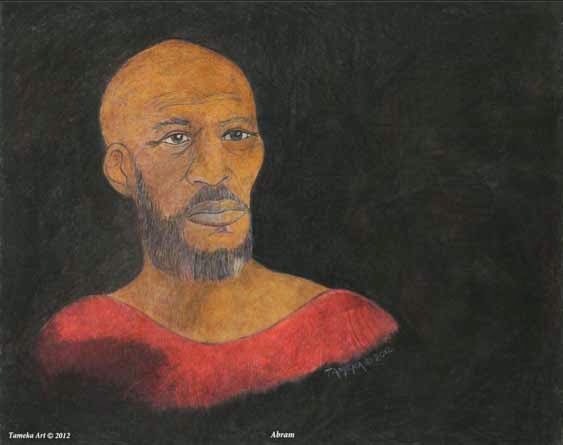 And for Abram, these encounters with the Lord truly resulted in a new identity: “No longer shall your name be Abram, but your name shall be Abraham; for I have made you the ancestor of a multitude of nations.” Now, on the surface of it, the change from Abram to Abraham doesn’t seem very significant. As it is rendered in English, it’s simply the addition of two letters. But whereas the name Abram has the meaning ‘exalted ancestor’, the name Abraham is full of new potential, new promise: ‘ancestor of a Multitude’. Up to this point in their relationship, God has promised that Abram would be a father of ‘a great nation’, a promise rooted in their first encounter in Genesis 12. But this new encounter, in Genesis 17, reflects a theme throughout the whole of Scripture: God’s promises have a tendency to expand, to grow and multiply in significance, to be opened up to include more than anything we could ever imagine. And so, here, in this encounter, God’s promise to Abram is no longer that Abram will father ‘a great nation’, but it has become something more: “As for me, this is my covenant with you: You shall be the ancestor of a multitude of nations. No longer shall your name be Abram, but your name shall be Abraham; for I have made you the ancestor of a multitude of nations. I will make you exceedingly fruitful; and I will make nations of you, and kings shall come from you.” God’s previous covenant with Abram was not tossed aside, but rather expanded. And that’s just the thing about being in relationship with the living God. There is always a greater horizon to look towards, a greater promise to see fulfilled, a greater potential to tap into. With God, there is always more behind the curtain, and unlike Dorothy’s encounter with the Wizard of Oz, we are never left feeling disappointed or cheated. There is a fascinating line from the book of Joshua that has always intrigued me about Abram’s journey towards becoming Abraham, and the journey beyond this name change. From Joshua 24: “And Joshua said to all the people, ‘Thus says the Lord, the God of Israel: Long ago your ancestors—Terah and his sons Abraham and Nahor—lived beyond the Euphrates and served other gods. Then I took your father Abraham from beyond the River and led him through all the land of Canaan and made his offspring many.” So, as the story has been told, Abram was called out of his homeland, called away from not only his family and a sense of familiarity, but had his spirit radically reoriented as the gods he formerly served faded away through each and every encounter he had with the one named ‘el shaddai, The God Almighty. But these encounters, which truly opened up for him a new life, a new identity…these encounters were not without a certain cost. There was the cost of leaving behind all that was once familiar. 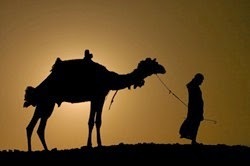 There was the cost of leaving behind his family, his tribe, to embark on a journey towards an unknown destination. And with that came the loss of control. To believe in and serve a new and unknown God, directing his steps toward an unknown land, would certainly have been to Abraham an invitation to live uncontrollably. And though God’s covenant with Abraham opened up for him a new realm of possibility, the abandonment of the name he lived with for 99 years, the name given to him by his parents, would certainly and understandably have been experienced as a loss. 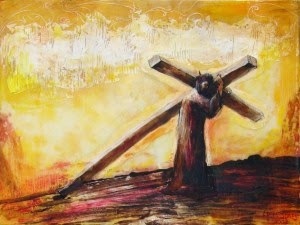 It’s a fact of history that Abraham could not have known what Jesus of Nazareth would one day say to his followers so famously: ‘If any want to become my followers, let them deny themselves and take up their cross and follow me.’ And yet, Abraham is a witness to what it means to deny yourself in obedience to the God who is always calling us forward in a life of blamelessness and faithfulness. With that new name came a new commitment to abandoning what came before and embracing what was ahead. To embrace the unfolding covenant of God demanded a certain sense of self-denial, for it was through self-denial that Abram could embrace who he was truly called to be, Abraham, the father of Multitudes.